An anti-aging serum designed to continuously even your skin tone. MilfordMD Advanced Retinol Serums balance your skin’s natural rhythm to give your complexion an overall boost. 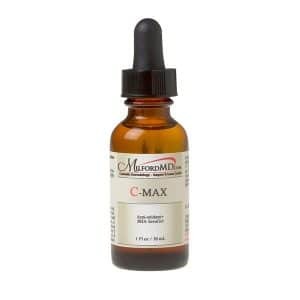 This face serum includes a powerful combination of antioxidants and caffeine that work to reduce signs of aging and free radical damage. 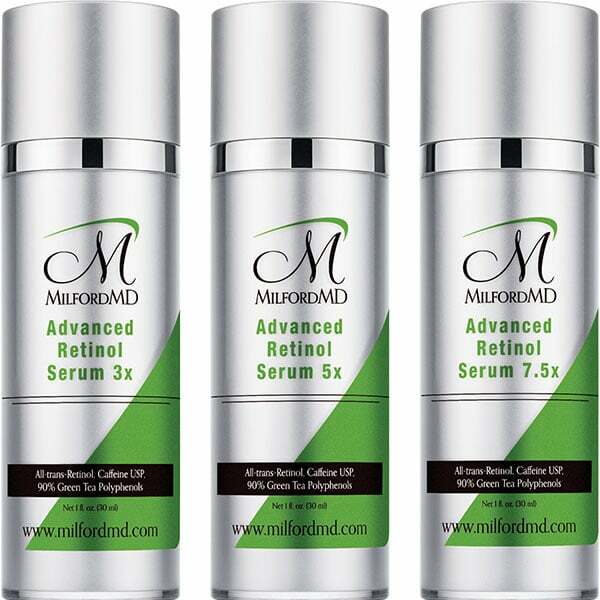 MilfordMD Advanced Retinol Serums combine a quick release to instantly retinize skin, and a continuous release to maintain over time. The Serums come in three strengths: 3x, 5x, 7.5x. They are all-trans-Retinol, the pure and active form of vitamin A. 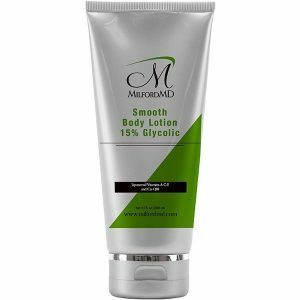 Use to achieve smoother, firmer and more evenly toned skin while helping support the skin’s barrier. Micropolymer delivery system protects the potency of the retinol and provides a time released delivery system. It’s therapeutic levels of the highest purified and concentrated form of Green Tea (90% Green Tea Polyphenols) provide the broadest antioxidant benefits while calming the skin. Studies show All-trans-Retinol and Green Tea Polyphenols work synergistically to build up the skin matrix and help increase cell turnover. 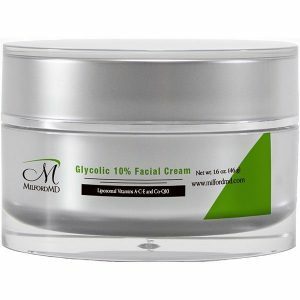 The caffeine in this product enhances overall antioxidant activity and helps diminish the appearance of redness. Hyaluronic Acid provides hydration 1,000x its weight. Gluten, Paraben, Oil & Fragrance-free. Non-comedogenic.